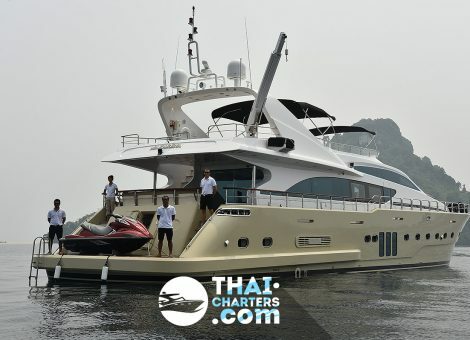 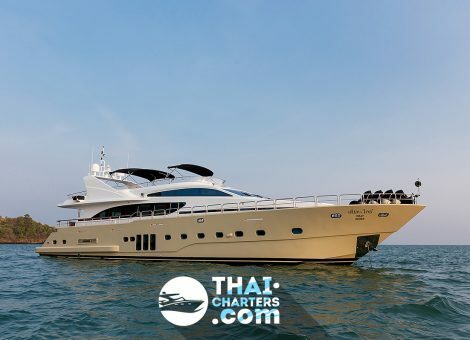 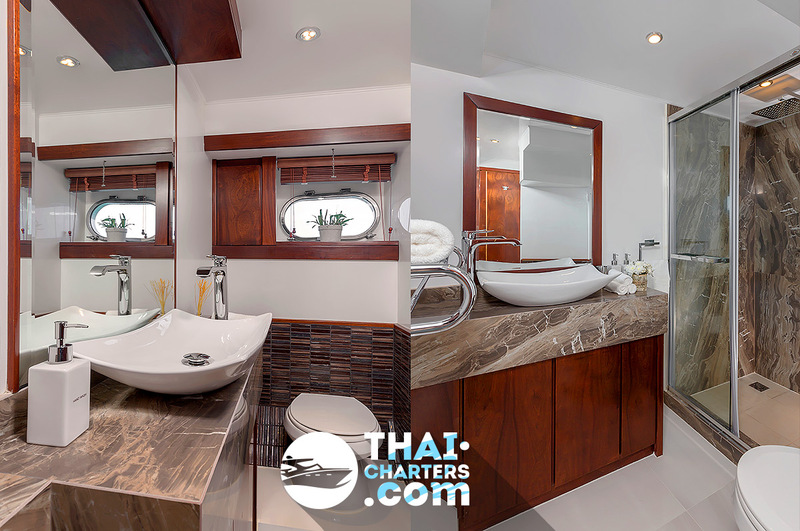 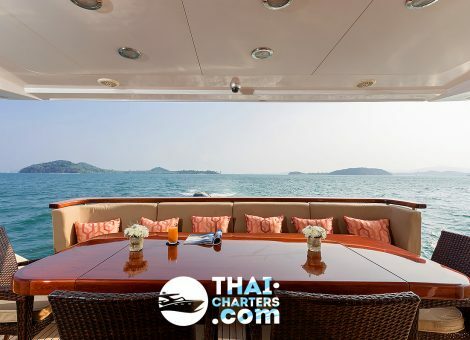 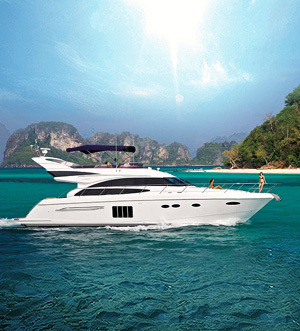 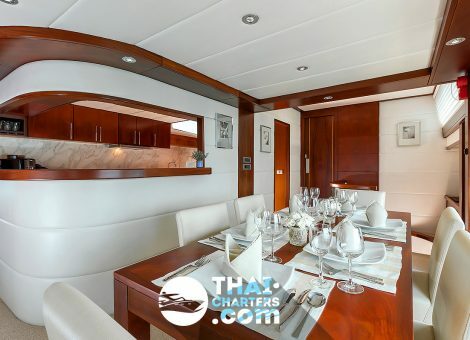 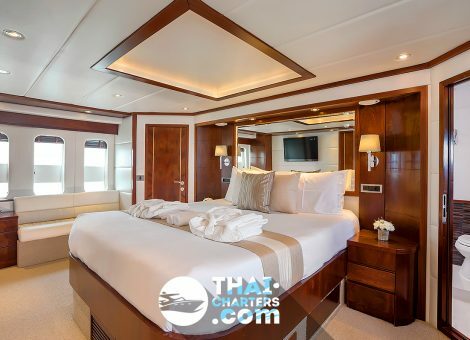 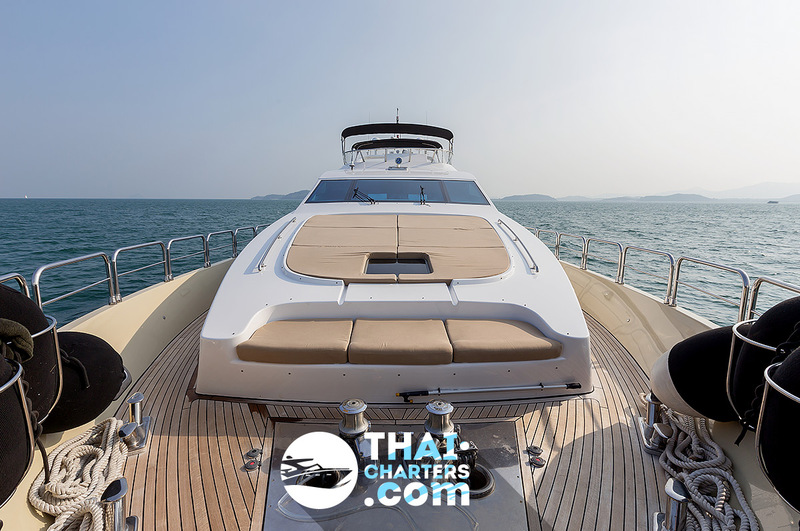 We strongly recommend to rent a motor yacht “Bilgin 96” in Phuket. 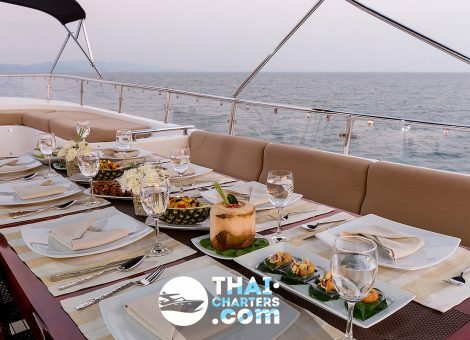 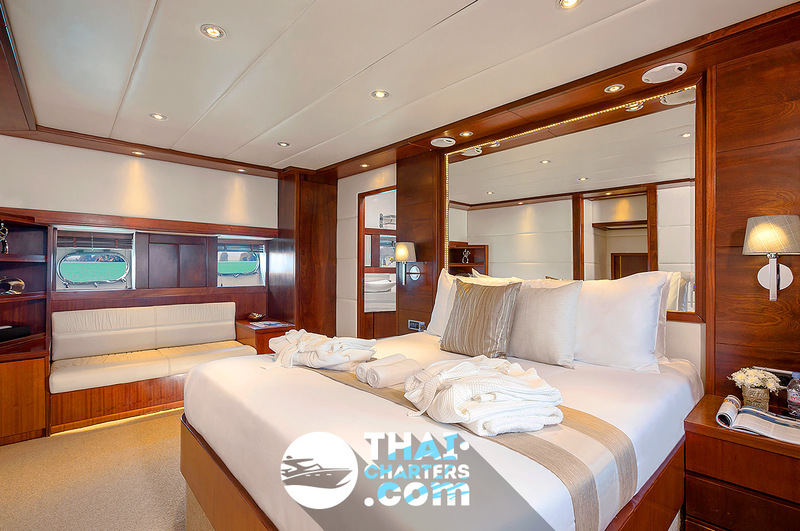 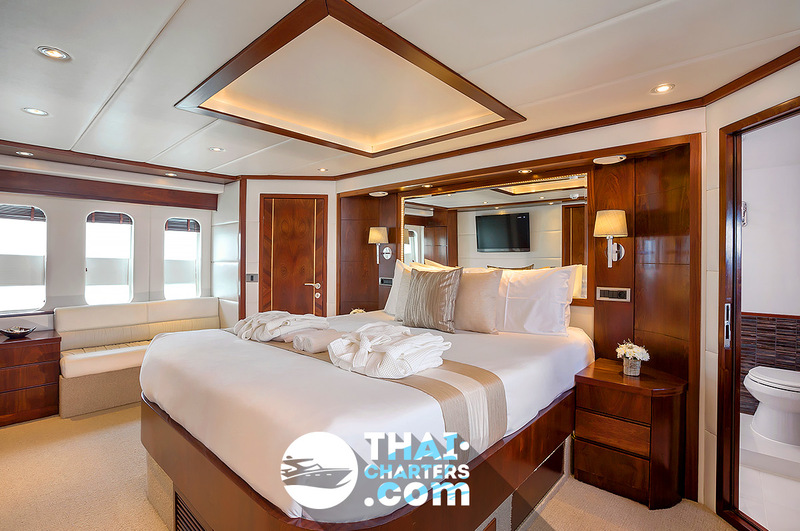 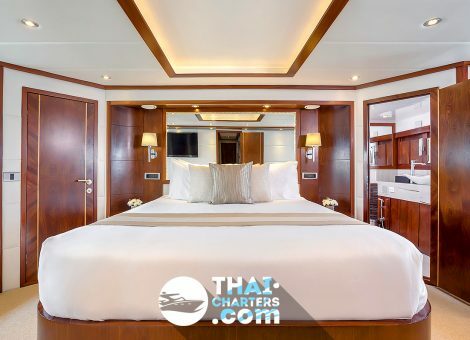 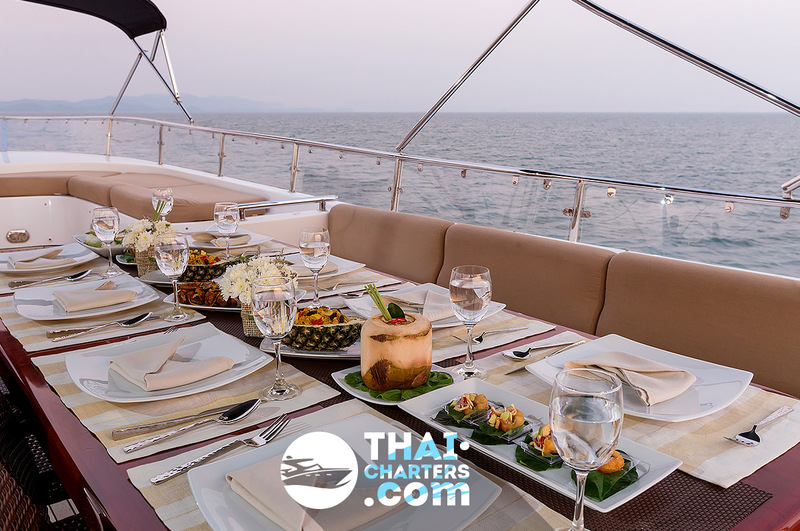 The shipboard will comfortably accommodate up to 20 people and the yacht will still seem half empty, and it is also an ideal option for a cruise along the islands for people indulging in every pleasure. 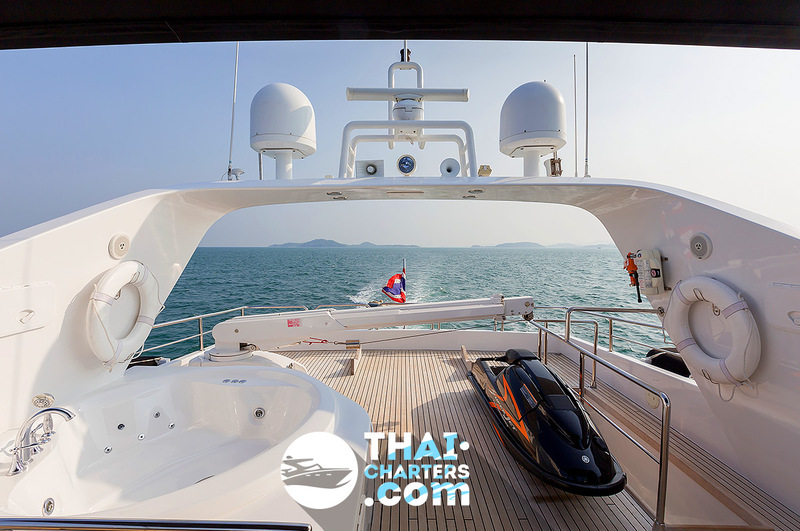 The motor yacht being 29 meters long has everything you need for your convenience, or rather the most complete equipment on board: a stunning jacuzzi on the flybridge, a barbecue and a dining area. 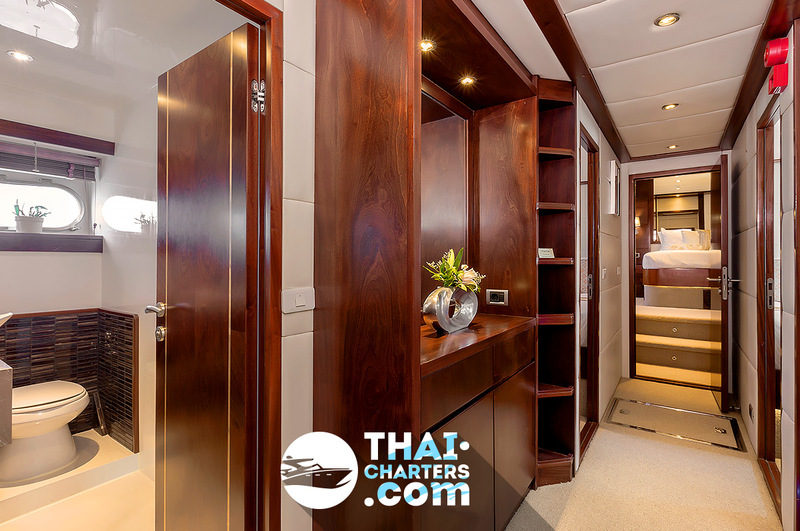 The luxurious interior in bright colors, complemented by finishes of fine wood. 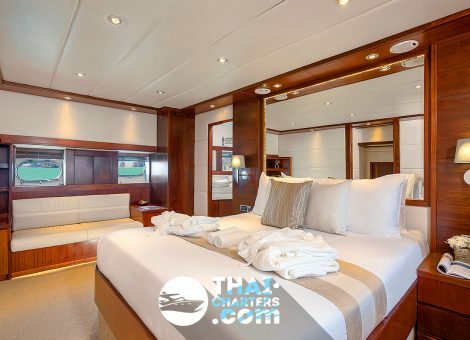 There is also a comfortable lounge with a music system, a seating area and a 50-inch flat-screen TV, as well as 4 spacious air-conditioned furnished cabins. 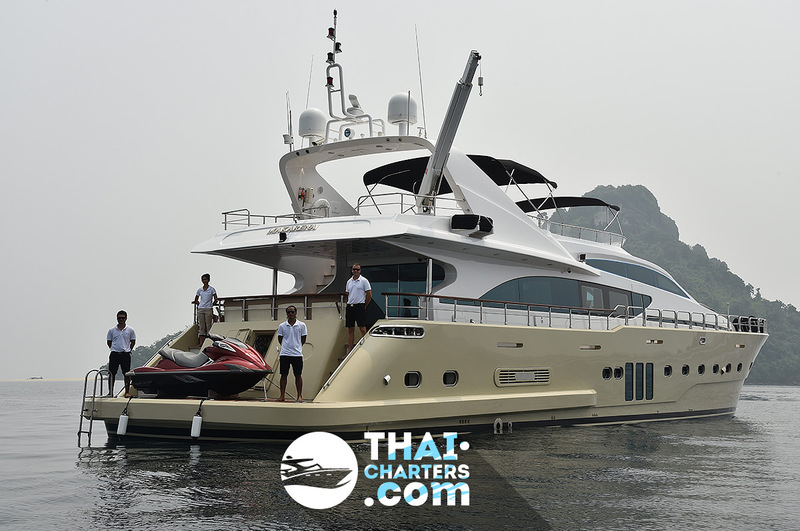 “Bilgin 96” is ideal for short-term cruises for a large clique or for a long-term voyage by a small circle of guests. 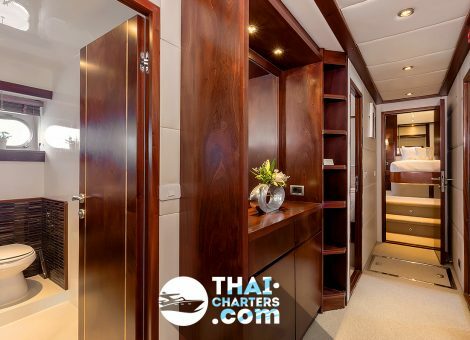 Renting “Bilgin 96” yacht is suitable for your event or holiday in all aspects and specs, among which is the fact that the yacht is a high class, comfortable and fully equipped ship. 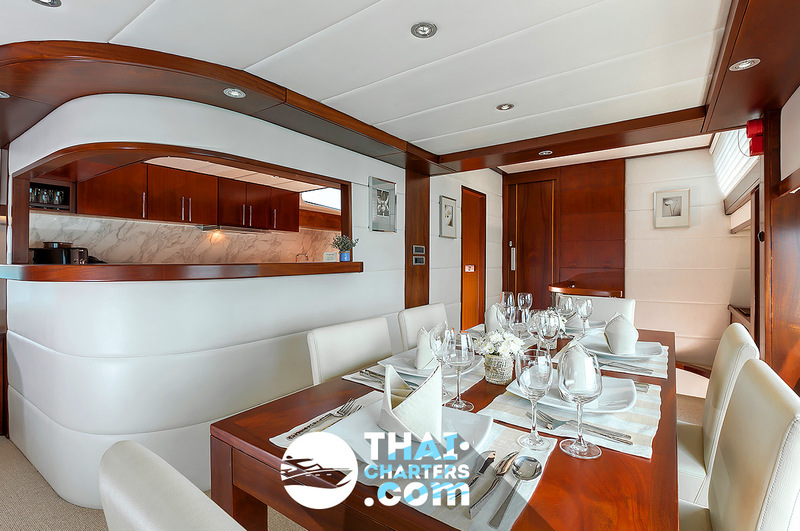 We are looking forward to seeing you on our shipboard.